The Penny Arcade Expo is in full swing in downtown Seattle. 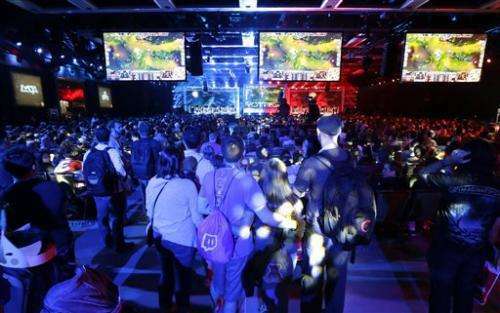 The fan-centric celebration of gaming began Friday at the Washington State Convention Center. The four-day long event is expected to be attended by 85,000 gamers and will include concerts, game tournaments, freebies and previews of upcoming titles. 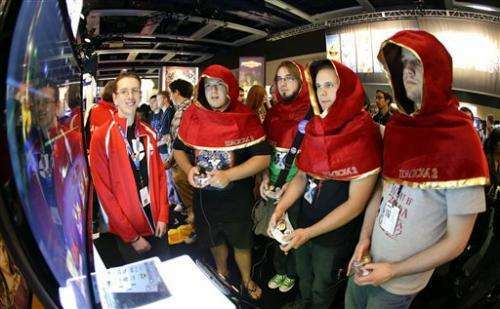 Tickets to this year's 10th annual PAX Prime event sold out less than two hours in May. The inaugural PAX, named after founders Jerry Holkins and Mike Krahulik's "Penny Arcade" online comic series, was first held in 2004 in Bellevue, Washington, and attended by about 3,300 fans. During the next 10 years, the event took over the convention center and spawned similar events in Boston and Australia, as well as the upcoming PAX South event in San Antonio, Texas. "If you live, breath and eat gaming, it's really the only place to be this weekend," said Jonathan MacPherson, who traveled from Vancouver, British Columbia, to attend the convention for his third time. He said he was most excited to try out "Evolve," the upcoming four-versus-one multiplayer shooter from Turtle Rock Studios. — PopCap Games said it was bringing the addictive pinball-inspired puzzler "Peggle 2" to the PlayStation 4 on Oct. 19. The game was previously only available for the Xbox One and Xbox 360. — "Super Meat Boy" developers Edmund McMillen and Tommy Refenes teased a touchscreen-centric follow-up to their popular platform called "Super Meat Boy: Forever." Team Meat said the game would be available for tablets and PCs. — "Saints Row" developer High Voltage Software revealed it was driving an edition of 2013's "Saints Row 4" to the PlayStation 4 and Xbox One consoles, as well as an expansion pack titled "Saints Row: Gat Out of Hell." The next-gen crime romp is set for release Jan. 27. Several publishers are giving PAX Prime attendees hands-on time with upcoming games, like Ubisoft's "Far Cry 4," Insomniac Games' "Sunset Overdrive" and Nintendo's "Super Smash Bros." On the show floor, a space called the Indie Megabooth is showcasing titles specifically from independent developers, such as the space shooter "Galak-Z" from 17-Bit. "There's an interesting personal element here that you can't get online," said Zach Aikman, an engineer at 17-Bit who also organizes the Seattle Indies Expo a few blocks away at the Melrose Market Studios. "You're able to meet the developers and find out how their actual personalities carry over into the games they make." The gaming industry could use camaraderie this week following several reports of developers and other personalities in the gaming community being harassed online. 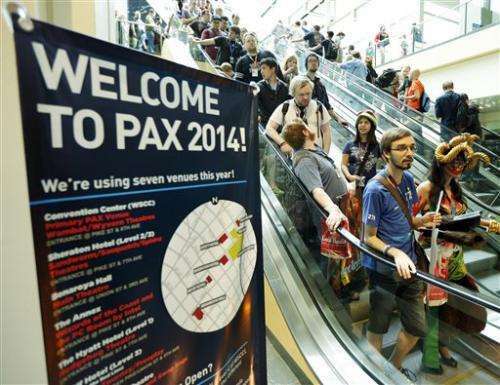 PAX Prime has posted policies against violence, harassment and illegal drug use. The convention's organizers declined to be interviewed for this story.